Players of Fisherman’s Jackpot video slots at Paf Club have the chance to win a progressive jackpot that is currently worth over €7,600. 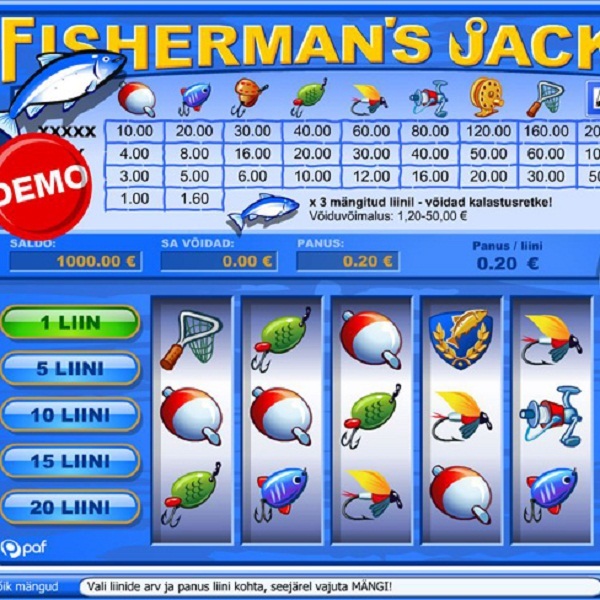 Fisherman’s Jackpot is a 5 reel, 20 payline video slot featuring symbols such as nets, hooks, floats and other fishing related equipment. The jackpot is won simply by landing five of the golden fish trophies across an active payline. The game also features a fishing bonus game where players go sea fishing and attempt to reel in the biggest and most valuable catches. This jackpot is won extremely regularly, on average every two days. In the past it has paid out amounts ranging from €2,724 right up to €42,658 which shows that it really can be won at any time. Head over to Paf Casino today to see if you can land yourself the big one.